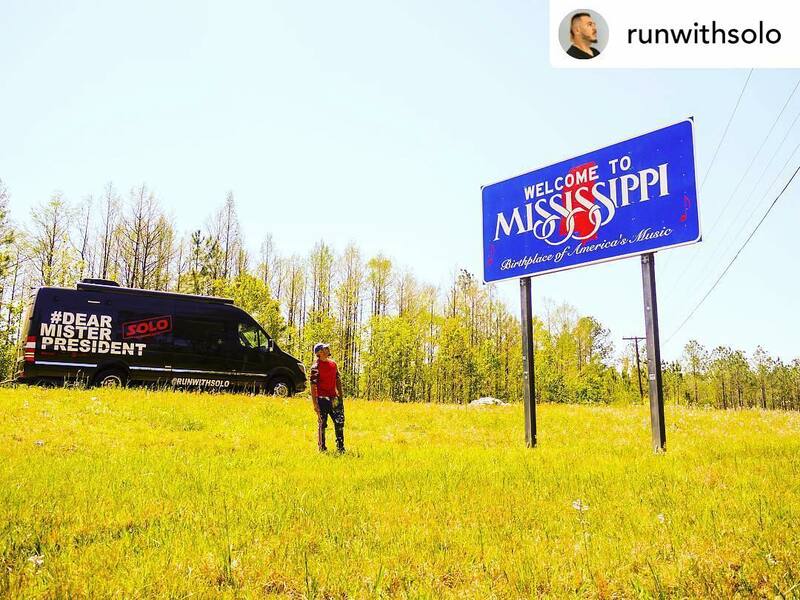 New Orleans Let’s face it from south Florida to the Rio Grande border between Mexico and the United States is a long haul, a minimum of 1500 miles, twenty or more hours in a car, and god only knows how long if you are running or walking, but, hey, who would do that? It turns out that Juan Soto, a musician and artist from Fort Meyers, Florida would do exactly that. Ok, so what’s going here? I get a long message while on the road from someone named Faith with a 201, Jersey area code about some fool running from Florida to the border in solidarity with immigrants. I can look at a website called Todogucci for more details. They want to be interviewed on the radio at WAMF 90.3 in New Orleans when they run through. Yes, you can’t make this stuff up either! When the song “TodoGucci” was first written the meaning was “everything is good” and it wasn’t intended or directed towards the realm of immigration, but the day he recorded the song, he had a personal conversation with a very close friend, who was arrested for not having a driver’s license and was facing a possible deportation issue. He said “Juan if I could only be legal in this country I would pay any amount of money, I have paid lawyers thousand dollars, I have American daughters, and own 3 cars paid off but yet I can’t even drive a car and have a legal job.” When he mentioned to Soto that he was on a deportation order process, Soto felt hit and sober because he had known this man for over 10 years and he works from 7 AM to 7 PM from Monday through Saturday, he spends the money he makes on his family, and community, and also saves to invest in his business in America, with the hope that he will have legal status one day. Soto decided to reverse the song to “TODOGUCCI, NO WALLS NO WAR”. And with the immigration crisis and the immigrant caravan heading out of Honduras to the US Mexican border the time to raise awareness in America is now! We need to … act for immigration. There is a decision to this crisis and Solo wants to share this solution with the world. This music video and song “No Walls No War” is only a small portion of what we can do, and believe that we need to raise awareness with the youth in our communities not only with American Africans but Latinos and all other cultures and ethnic groups that made up the Great United States of America. How could we say, no? He’s running along the way. He’s raising money to support services and legal aid for immigrants. He’s trying to do his part. He has a “mod squad” crew that rolls with him in a well-appointed van. He’s doing a video and probably more while on the road. Sure, this gets his name out, but that’s clearly not what this is about. If it were only about building his “brand,” then the TodoGucci website wouldn’t misspell his name as Solo more often than Soto. Look for them as they come through the south tier and into Texas. Show them some love. New Orleans AMLO as Andres Manuel Lopez Obrador is known, has been elected president of Mexico by a wide margin with his new party promising to end violence and corruption and run the government on a progressive platform. Not only did Obrador win, but his coattails also are carrying his new party into office in several states and into a stronger position in the Mexican Congress. 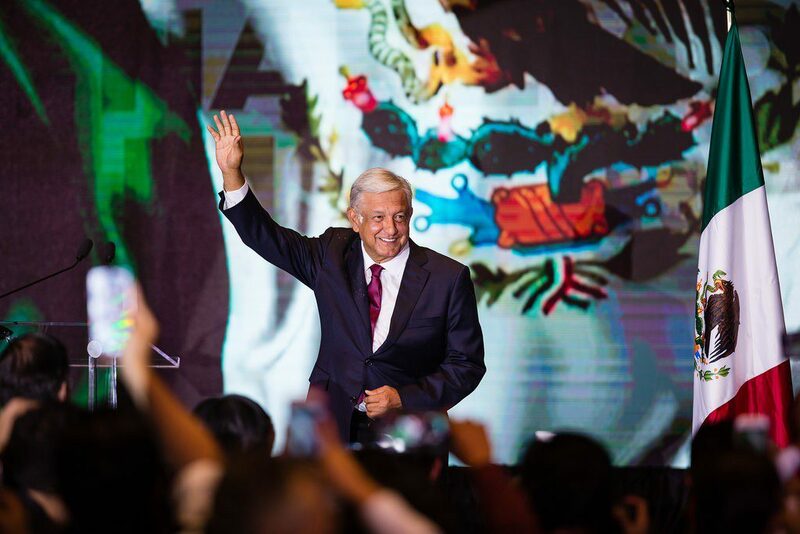 His victory promises huge changes in the political and economic culture in Mexico and could reverberate to the benefit of the United States as well. Despite news reports to the contrary, Obrador is not the Mexican Trump. He is an experienced politician and former mayor of Mexico City. He has also been a contender in previous elections, losing narrowly several years ago in an election his supporters still believe he won. He has promised to help farmers who have been hard hit, driving some of the migration pressure at the United States border. He has promised to raise pensions for workers. He has promised to review oil and other public contracts that have been sources of inefficiency and corruption and to fund some of his programs with the money saved from eliminating corruption. As a progressive on the left, Obrador is already been baited by business interests invested in the status quo claiming he would be a Mexican version of Venezuela’s Hugo Chavez, but there is little evidence that this would be the case from his record. The very huge size and scale of the country and its economy also means that using oil wealth as Chavez did, will not be possible in Mexico. On the left, there are concerns that he has promised too much. Sounds like he is in perfect position. Who knows how deeply President Trump and his advisors understand this. Hopefully they will not divert the hope here with ridiculous proposals for Mexico to pay for Trump’s folly, the border wall. Regardless, the rest of us will have our fingers crossed that Obrador can turn the ship of state in the direction he has pledged. A healthier and more equitable and secure Mexico is not only good for Mexicans but vitally important to the United States. Please enjoy Stop this War by At Pavillon.